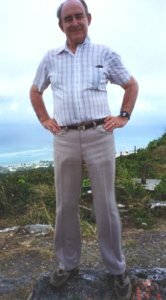 Fifty years separate the two photos of the author on Mt. Tapotchau, Saipan. To download an Adobe Acrobat version of the book, click on the One Man's View cover above. 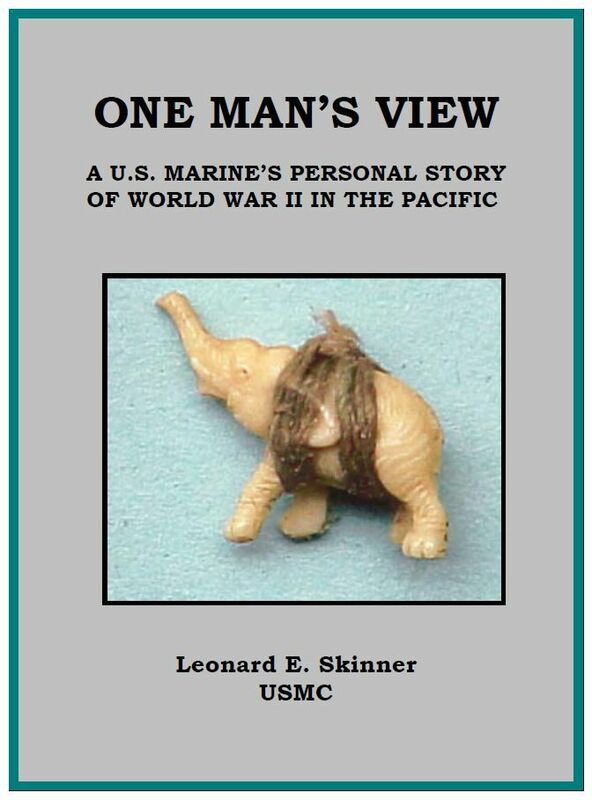 ONE MAN'S VIEW is the personal story of Leonard Skinner's experiences in the Marine Corps during World War II. After enlisting at the age of 17 in January of 1942, Leonard spent four harrowing years moving from island to island in the Pacific Theatre. In this online book, One Man's View, he documents the hazardous life of an American Marine combat soldier during the war and reflects upon the experience of revisiting many of the battle sites half a century later. Use the pointing finger on the pages to advance to a new chapter or move back to a previous one. Click on the elephant to head back home to this page. GOT A KINDLE READER OR AN APPLE DEVICE? One Man's View is optimized for web viewing with tablets and smartphones and has been tested with the Kindle Fire, Apple iPad, Apple iPad Mini, Apple iPhone, and Apple iPod Touch. Just fire up the web browser on any of these devices (or any other PC) and point it at this web page. An updated Adobe Acrobat version that's been formatted for offline reading with tablets is also now available - click HERE to download the document.